Those days have whisked past us when students didn’t have a feasible opportunity to balance their work with education. But, now they do! Thanks to many credible institutes around the country offering distance education courses, learning while you work, has become a viable option. And one such university that stands apart and gives you a golden chance to implement this option is Assam Down Town University. This university provides a variety of management courses with a carefully prepared course curriculum in addition to guidance from experienced faculty. So, let’s look at some of the valuable points of pursuing your distance MBA and why Assam Down Town University can be your friend in finding that balance between work and education. One of the greatest benefits of distance MBA is that it is highly flexible and comparatively affordable. 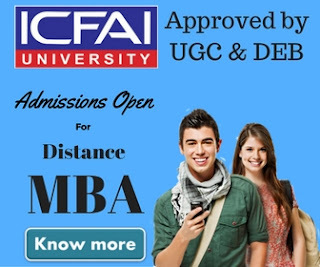 You don’t have to sacrifice your work or pay an exorbitant fee to pursue distance MBA from Assam Down Town University. The combination of both, the distance MBA program and the university fulfill your requirements and help polish your skill set while you set to achieve more in your career. Distance MBA makes you learn by challenging you, provides an opportunity for students to learn while they earn and hence allows you to simultaneously test theory in a corporate environment. Pursuing distance MBA gives you the opportunity to take up a job in your desired area of specialization and helps you build awareness of the real corporate world functions. 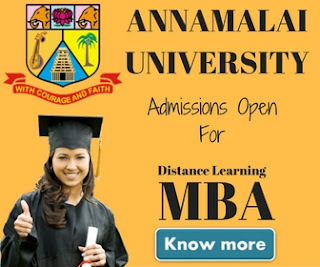 You complete your distance MBA from Assam Down Town University at your own pace and convenience. You also study from a learning centred course module with minimal investment, which gives you comprehensive development of analytical skills and in-depth operational knowledge of the corporate industry. The distance MBA course of Assam Down Town University was instituted in the year 2010. The University has received positive recommendations from its alumni for the flexible exam schedules, which are useful for the working students and most importantly for the helpful academic guidance provided by the Assam Down Town University’s experienced faculty. The courses provided are in complete sync with the latest demands and trends of the corporate industry. The course is structured with a special emphasis on the learning of basic principles and practices of management, which help the students with science background and further strengthens the concepts of commerce background pursuers. Both are continuously guided in the right direction by the most experienced professors of this reputed university. MBA in Information Technology - According to a report published by The Ministry of External Affairs, India’s IT sector is growing at a rate of 25% per annum, having already employed over 1 Crore people. This employment rate is expected to further increase as big foreign companies foray into India. This would boost the expected market exponentially and make it reach up to $300 billion by 2020. MBA in Operations Management -Specialising in operations gives you a great chance to thrive in an environment where there is high demand. Specialists in this field witness chances of fast monetary and financial growth. MBA in Marketing Management - Establish your career through Assam Down Town University in one of the most dynamic and popular specialisations in India. Learn the tricks of the trade used in this dynamic field. MBA in Human Resource - Help build the backbone of an organization you are a part of or understand the processes better. The HR team of an organization works round the clock to get new employees on board and keep the existing ones happy. The course structure is systematically divided over a period of 2 years and sub-categorized into 4 semesters, which first lays a strong foundation for students by focusing extensively on the basic concepts of the subjects, then various technicalities are introduced to students and finally it makes students well prepared on how to utilize the course’s knowledge and applicability at their workplace. Assam Down Town University extensively uses technology to engage with students through its live online classroom sessions, where students can clear their doubts personally. Students are also offered learning based weekly online assignments, self assessment tests and guidance from experienced faculty. Hence, this MBA course offers students more than what they come expecting for. EduKart is India’s leading education marketplace and has partnered with Assam Down Town University to promote distance education in India to help students bridge the gap between their dream and reality. The EduKart team provides guidance and counseling to students with the objective of helping them choose from the wide array of available courses. The company makes the enrollment process hassle free and provides complete pre and post admission support to students. Students choose the best for yourself in this ever-growing competition and find the right balance and grow in your professional career with Assam Down Town University courses offered on EduKart. Without sacrificing your job, take your career ahead with an MBA degree in conjunction with EduKart’s many advantages. Take the leap, now!